The last of the June in Buffalo resident ensemble's we'll profile is the Buffalo Philharmonic Orchestra. 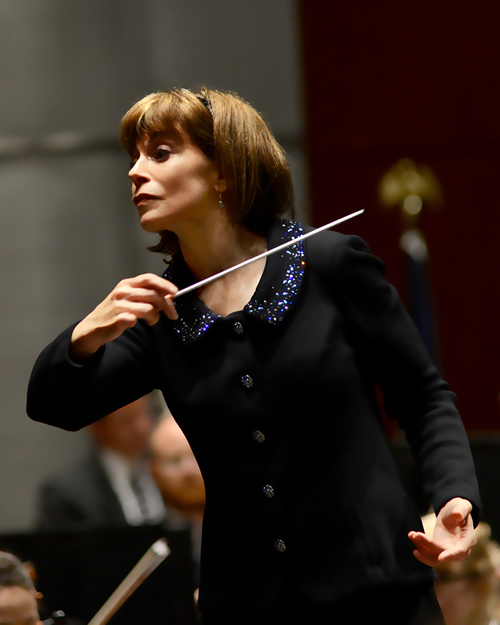 This year, the BPO continues its annual tradition of closing out the festival with a concert of orchestral works by faculty composers, and this year's program will feature works by Abrahamsen, Felder, Stucky, and Ung, under the direction of BPO music director, JoAnn Falletta. Falletta has been praised by the Washington Post as having "Toscanini’s tight control over ensemble, Walter’s affectionate balancing of inner voices, Stokowski’s gutsy showmanship, and a controlled frenzy worthy of Bernstein." 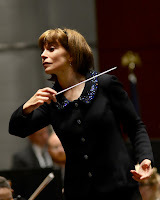 In addition to being the BPO's music director, she directs the Virginia Symphony Orchestra and serves as Principal Guest Conductor of the Brevard Music Center. Under her direction, the BPO has recorded frequently for the Naxos label, earning six Grammy nominations, and received a double Grammy Award in 2009 for their recording of John Corigliano’s Mr. Tambourine Man: Seven Poems of Bob Dylan (2003) with Hila Plitmann. Sunday's BPO program will open with David Felder's Linebacker Music, a work commissioned by the orchestra during the early-1990s, when the Buffalo Bills were one of the country's most successful teams (making it to the super bowl four consecutive years). Felder's piece "epitomize[s] the strength, speed, power, and indeed the fury and violence of the game of football." Herman Trotter of the Buffalo News said of the piece: "Don't expect Linebacker Music to remind you of The Blue Danube. Wholly consistent with its subject matter, it has a very declamatory opening, then proceeds to be stridently aggressive and percussion-laced, and to convey a feeling of massive strength at all times." (To read more about the piece, see our interview with the composer). Chinary Ung's Water Rings "Overture" (1993) will follow. The work, while much more subdued than his other works (avoiding the dramatic gestures common to the Spirals series), maintains the expressive language the composer is known for. Ung wrote the work quickly, and it functions as a sort of improvisation, with the composer positioned inside the orchestra, playing it as if it were the traditional Cambodian Pinpeat ensemble. As such, the piece, as the program note explains, "uses dance rhythms and folk tunes from Cambodia, and while the instrumental writing is not as florid as his other works, the parts are drawn with the same characteristic nuance, elegantly shaped and generously inflected." 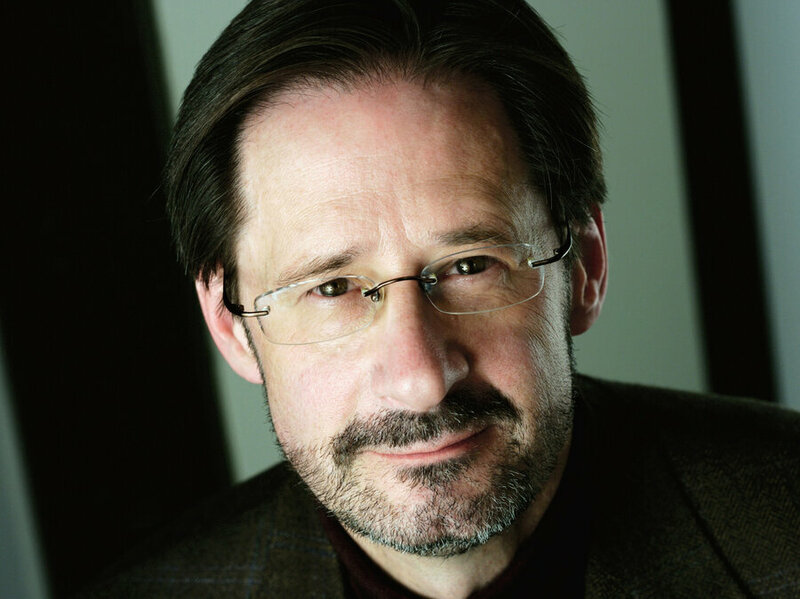 The concert will close with Jeu de timbres, a brief, single-movement composition by Steven Stucky. The new music world was shocked and saddened to hear of his death from cancer earlier this year, as he was one of the most widely performed and celebrated American composers. Stucky was a June in Buffalo regular, and was on the faculty at last year's festival (see our profile of Stucky from last year's series on JiB faculty), at which audiences heard his 2005 Piano Quartet performed by Performance Institute faculty, and Refrains (1979) for percussion quintet realized by Talujon. This year will mark the second time the BPO has performed Jeu de timbres at the festival, the first being when Stucky himself was on faculty in 2012. That performance was praised by Allan Kozinn of the New York Times as "packed with shimmering string and woodwind textures yet with a changeability and bite that are among the most recognizable hallmarks of Mr. Stucky’s music." Stucky himself described the piece as "[spending] most of its energy on rhythmic verve and luminous orchestral colors. […] The title (play, or game, of musical colors) both alludes to these Gallic tendencies in general and makes a small, specific inside joke: jeu de timbres is the French name for the orchestra bells or glockenspiel, an instrument that makes an occasional appearance in this piece. There are other inside jokes, too, including two admiring glances at works by Ravel—one oblique, the other (at the end) quite direct." We look forward to hearing Buffalo's orchestra close out the festival as it always does, with exciting new works by faculty composers, presenting all variety of dramatic gestures and games of color.